Just because we are super excited for the Designer Day event in April, we thought we’d give you a sneak peak of a couple of the gorgeous gowns from the Fall 2017 collection. Of course, there are dresses for everyone, from debutante glam to timeless chic, but the one thing that I have noticed from this collection are the absolutely stunning skirts with petal detailing.The dresses below are ballgown silhouettes which mean they are fitted to the bodice and have a waistline that leads to a full skirt. 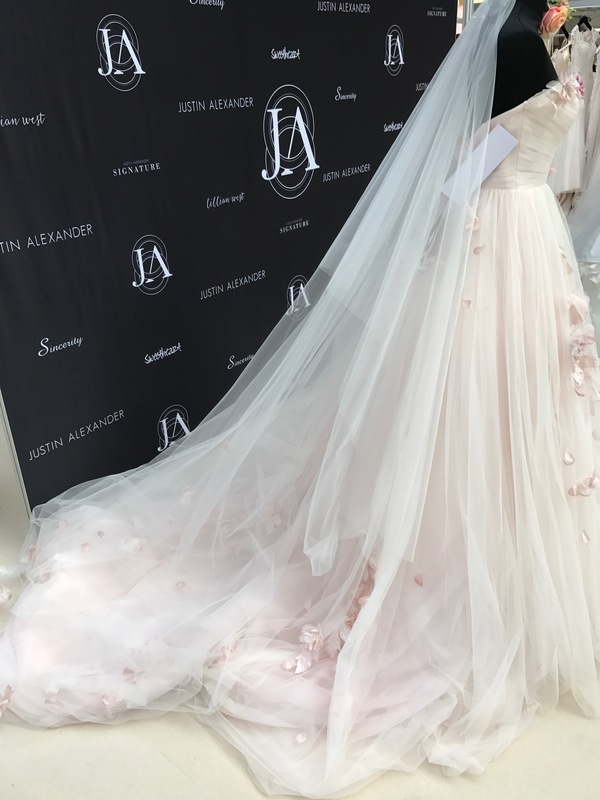 In the process of designing these dresses, Justin Alexander’s creative director, Tony Mentel, carefully pieces all the delicate details together making sure they are elegantly placed around the gown. A style idea that I am loving at the moment is the matching of the veil detailing with the dress. 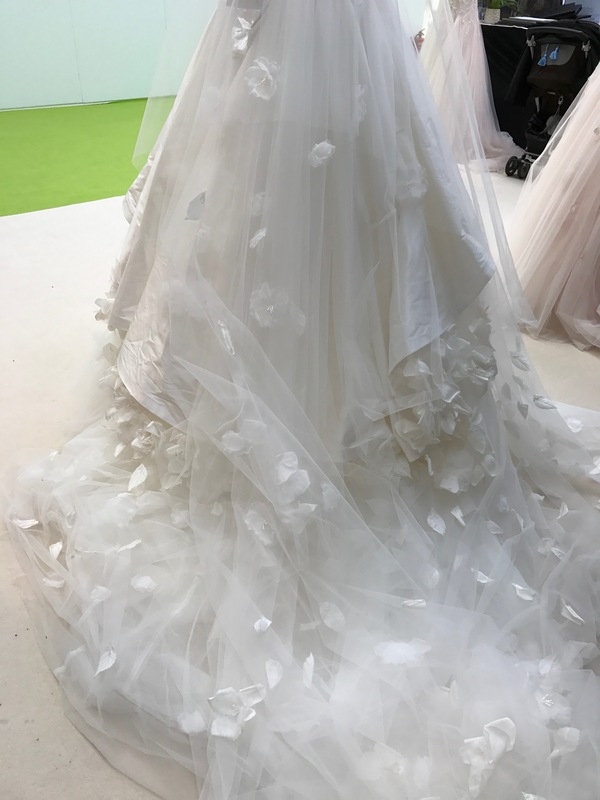 Below is a sneak peak of a gown from the new collection and is an example of where both the veil and the dress is adorned with petals down to the train which gives the impression of a fairy tale romance. 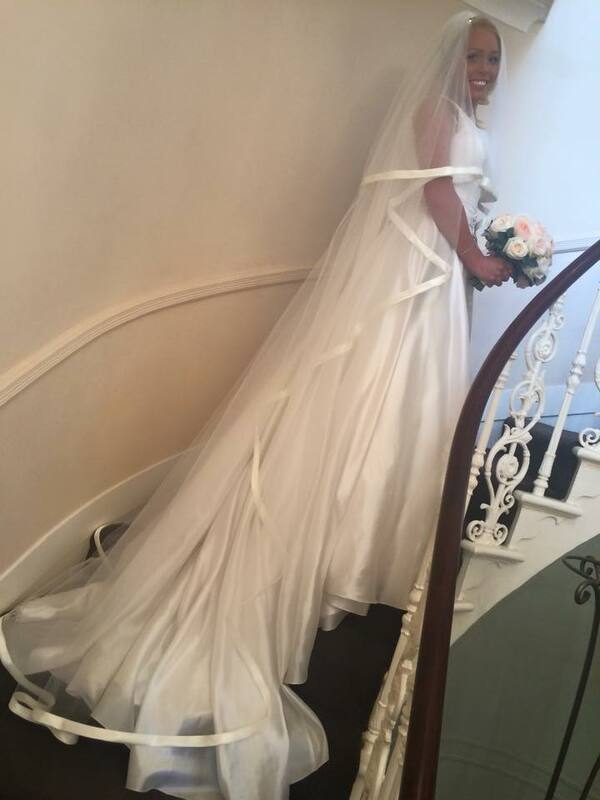 One of our past brides sent us a picture of herself on her wedding day, who also supported the long veil and corresponding gown. Louisa’s elegant long veil has silk trimmings that matches the fabric of her gown. Just gorgeous! !